 Find the best replacement control boards here at PlumbersStock. If your house is too cold or too hot, we can help you get your heating and cooling system up and running at full capacity. We offer discount prices on a variety of HVAC controls from trusted names like ADP, Bradford White, Meridian, and more. For more information about our HVAC parts, call, e-mail, or chat if you have any questions about the water heater and HVAC control boards offered here at PlumbersStock. What Is a Control Board? 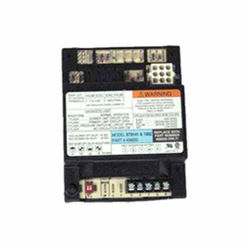 A control board can be thought of as the main brain of an electrical apparatus. Similar to the computer in your automobile, the control board for your heating and cooling system is of utmost importance to ensure all the electrical connections fire off and switch on when they’re supposed to. Having the right HVAC or water heater control board for a given system allows you to have the best experience in home comfort. Your control board can usually be found located on or around your furnace. There are two basic types of control boards: The simple ignition type of control board operates the gas valve, igniter (spark generator or hot surface igniter), and a circuit capable of sensing flame. This control board is more common on older units that run less efficiently than modern furnaces. 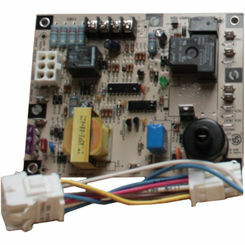 The other type of control board is known as an integrated furnace control. These boards are designed for newer furnaces because while they control the same 3 devices as the simple ignition board, an integrated furnace board also controls the furnace blower in AC and heating modes and has the ability to provide onboard diagnostics for easier repairs. 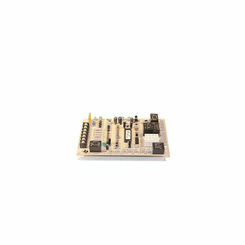 We offer high-quality control boards for replacement from manufacturers such as Bradford White, Meridian, and ADP. Our control boards cost a fraction of market price but are the same great products you would expect if you were purchasing straight from the source. 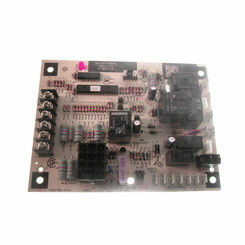 With so many control boards to choose from, you’ll be sure to find the best one for your application. How Does a Control Board Work in the Big Picture? Your control board works in a very organized, and complex manner, throwing switches and verifying connections one after the other in order to increase efficiency. To better understand how your control board runs and operates, it’s a good idea to visualize an example, such as warming your home on a chilly night. The steps below are the steps your control board takes to in order to make your desire a reality. Your control board is one of the worst things that can break down in your water heating or HVAC system because there are so many things that could malfunction. Worse, if the malfunction is in the early steps, your furnace may fail to turn on and warm your home, a big problem once it reaches those cold, frigid winter months. Thankfully, a control board is a simple enough system to diagnose. Modern furnaces with integrated control boards have the advantage of having diagnostic indicators. Similar to how you can check the codes on your car’s computer to figure out what’s wrong, these control boards will give you codes so you have a clearer idea on what the problem is. 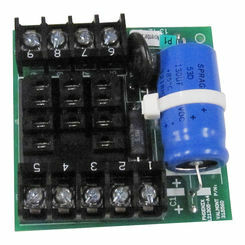 The control board comes with LED lights that will begin to flash if something is wrong. You can usually figure out the nature of the problem by using the chart on the control board to explain the flashing codes. If nothing is wrong or the malfunction is identified and fixed, the light will shine a steady green indicating power is on and the control board is functioning. Save on the best names in the business when you choose the online leaders in HVAC at PlumbersStock. Choose from a few dozen options in discount controls to get your water heater or appliance running like new, in no time.